If current network services have shortcomings in terms of features, that will drive network evolution toward a way to address them for simple economic reasons. 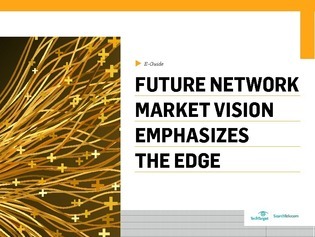 But understanding what the network market wants, and how delivering it would impact network operators' infrastructure and profits can be answered by contrasting two basic truths. In this expert guide, Tom Nolle, President of CIMI Corporation will uncover these network truths, and explore how carriers can keep costs in line with incoming revenue.